Rational Dual Ripening (DRR) is a growing technique used in the Albare vineyard to improve the quality of the grapes produced in this site. The wine produced via the RDR system uses grapes characterised by two different levels of ripening (hence "Dual Ripening"). These different levels of grape ripening are achieved by cutting some of the vine shoots, as shown in the illustration above. After this cutting of grape-bearing branches, about half the original number of bunches are still attached to the vine, fed by its sap, and therefore tend to “over-ripen”, while the other half remain in the vineyard, fastened to the supporting wires, and begin to undergo a “drying” process. 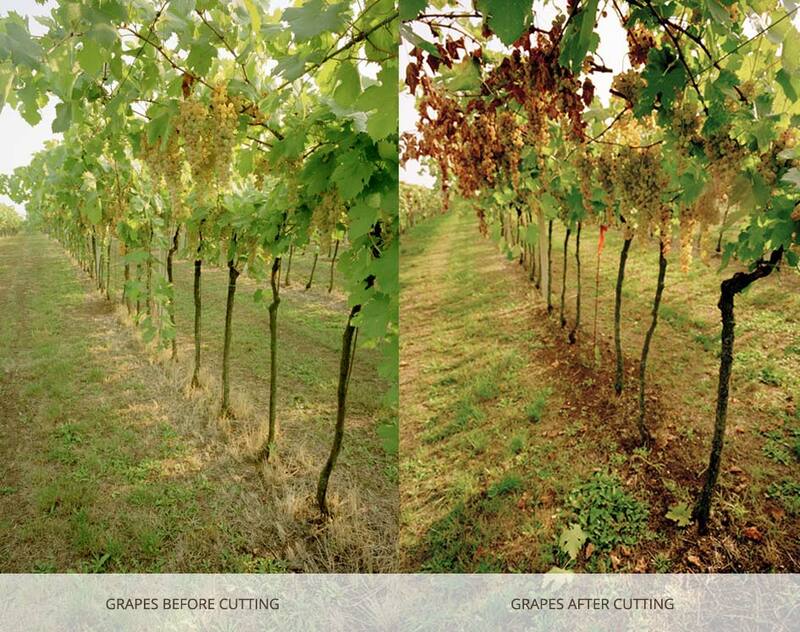 So as to give optimum fruit quality, the dates for cutting the vine shoots and for the harvest itself are calculated with much care: hence the description “Rational”. After a certain period, whose duration varies each year according to the weather and the data acquired in previous vintages (but is never less than three weeks), both the “partially dried” and “over-ripe” grapes are harvested, pressed and vinified together.